MyMedsHealth is a clinical pharmacy service provider working closely with general practices in South Australia. We do not prescribe or dispense medications but review what patients are taking. We offer other various clinical services tailored to suit the practice’s needs including medicines information, chronic disease management, health promotion and general advice on diet and lifestyle. We work collaboratively with doctors and other care providers to get the best outcomes for our patients. This means peace of mind for patients, who may be worried or confused about their medications, and for their doctors. Many people take their medicines incorrectly without realising. We offer an in-home service with a pharmacist to review your medicines to identify and address any problems. 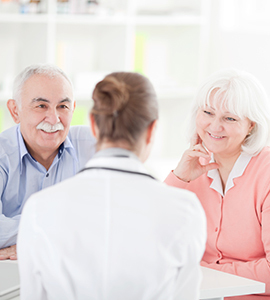 Our patient-centred care plans are valued by patients and GPs and are easily imported onto your medical software. Interested in having a clinical pharmacist at your practice? Find out how this collaborative and forward-thinking model can fit in with your day to day workflow. Please contact us if you are interested in our services or would like to work with us. Not what you use to be? As your body ages so does its organs, meaning drugs can behave differently and you may become more sensitive to their effects. 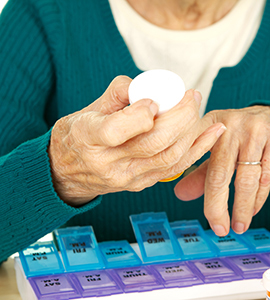 A qualified geriatric pharmacist can review your medications to make sure they aren’t going to cause problems now or down the track. Contact us. Bitter sweet diabetes. 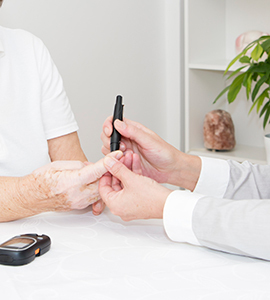 Uncontrolled diabetes can lead to serious consequences including heart attack, stroke, blindness, kidney disease and amputations. It is chronic and progressive disease so we should do everything we can now to slow its progression to minimise complications later. Contact us to make an appointment with our diabetes educator. Information can be powerful. Taking medications can get confusing but it’s important to know what you’re taking, why and how to take it. What am I taking? contains essential information about 100 of the most commonly prescribed medications, common disease states and other information so you are better informed.